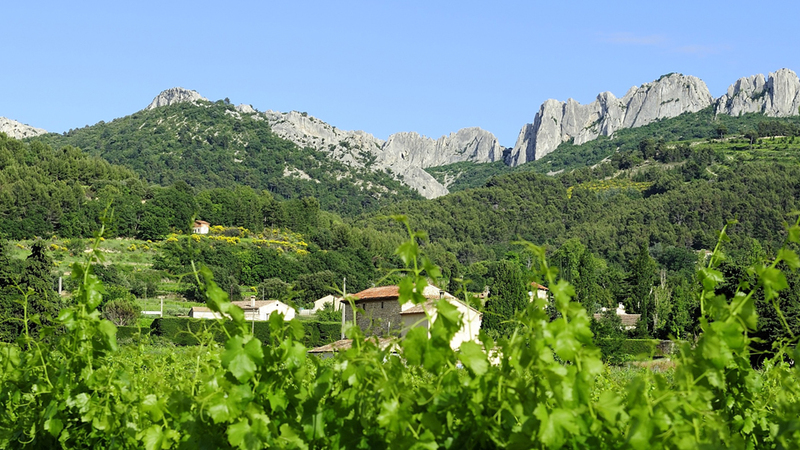 Fans of elegant, accessible southern Rhône wines will find plenty to like from the 2014 Gigondas’ while 2015 produced a plethora of outstanding, attention-grabbing and cellar-worthy wines. Followed as they are by the often monumental, soon-to-be-legendary 2015s, the 2014s, from a generally difficult vintage, are bound to suffer by comparison, which will inevitably set the stage for price reductions. That’s tough luck for everyone in the supply chain except consumers, who should be able to score some serious deals as numerous fabulous bottlings were made in 2014. Two thousand fourteen was a roller coaster growing season for Gigondas, with a cold, rainy late winter and early spring delaying the budbreak. Temperatures then warmed up to average through the rest of the spring, bringing the vines up to speed and resulting in a normal flowering. But then cool, wet weather returned later in June and pretty much stuck around until late August, when temperatures heated up and allowed the harvest to kick off in mid-September under mostly clement conditions. In fact, the weather was good enough that many growers were able to hold off picking until mid-October, thus allowing their fruit to fully ripen. One danger in 2014 was the possibility of an overabundant crop, as rainfall totals were above average during late spring and through much of the summer. Attentive farmers kept a close eye on their vines, dropping fruit as needed to eliminate rotten grapes, reduce the overall crop load, and prevent potential dilution in the resulting wines. But given the often painfully short Grenache crop of 2013 it’s not far-fetched to imagine that more than a few growers were willing to give their pruning shears a rest in 2014. Calling a vintage “forward” in the context of Gigondas doesn’t mean that the wines need to be drunk up soon after release. There’s certainly no rush with the vast majority of the 2014s. While top-notch vintages like 2015, 2010 and 2009 produced an abundance of bottlings that deserve a good decade of patience before showing their best, the 2014s should mostly be drinking well by their fifth birthdays and easily hold for another five years or so. The best wines, well stored, should survive until their fifteenth anniversaries so I wouldn’t feel pressured to pop corks too early. Two thousand fifteen, along with 2010 and 2005, produced one of the most consistently excellent sets of Gigondas that I’ve ever had the chance to taste. The 2015s are shaping up to be wines of distinct power and depth, with the tannic structure for extended cellaring but with plenty of buffering freshness as well. Weather conditions were all a grower could hope for from start to finish in 2015. Flowering got off to a fast start and the growing season was warm to hot – but not too hot – and dry, with mostly cool nights, straight through the spring and summer. The disease-free grapes achieved full ripeness with ease and also maintained healthy acidity levels, resulting in wines that are full-flavored without being ponderous and with a compelling interplay of richness and energy. I have no doubt that the wines are set for a long, steady aging curve. Most of the better 2015s will be providing plenty of pleasure well into the 2020s and, in many cases, even the 2030s. I also believe that, because of the harmonious tannins of the wines, the ‘15s will never really shut down hard, which was the case with a number of 2010s and 2005s. 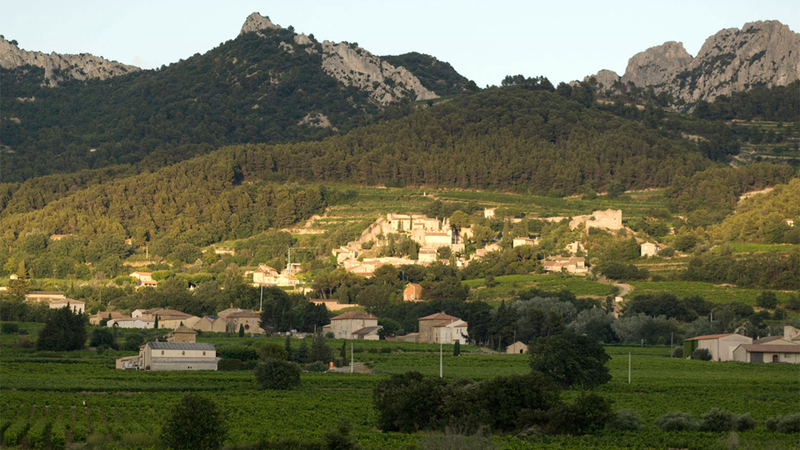 If there was ever a southern Rhone vintage worth going wide and long on, ’15 is a winning bet. I tasted most of the wines reviewed in this article in Gigondas in March and then followed up with many others in New York this spring and summer.